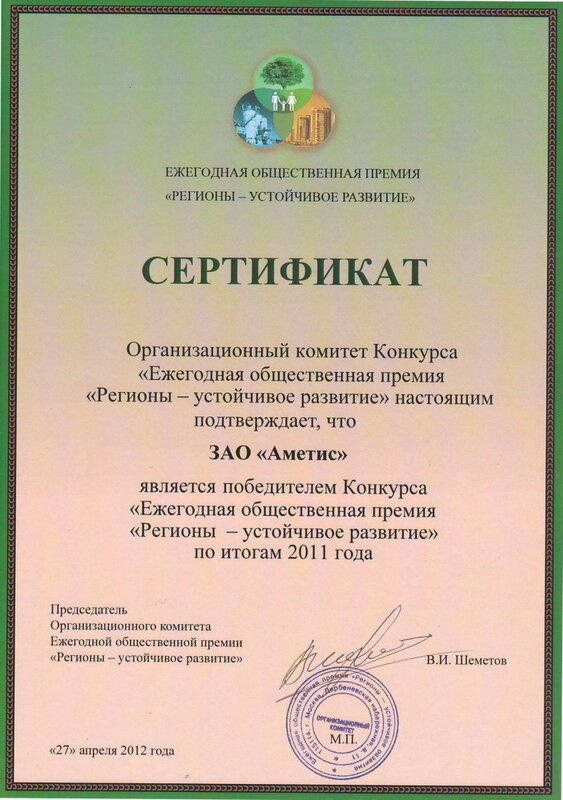 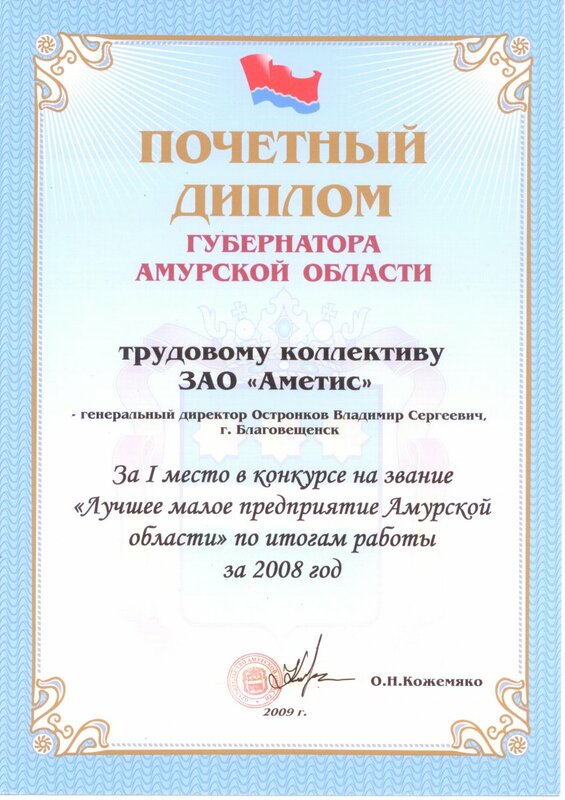 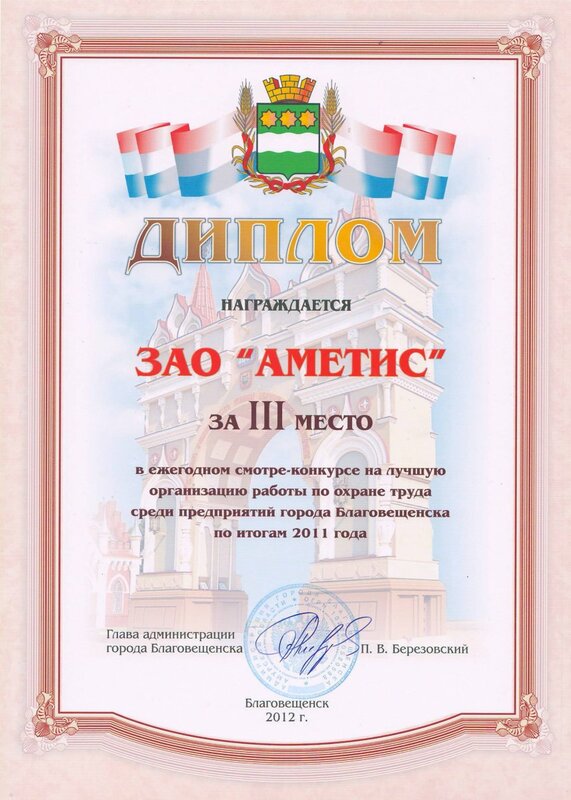 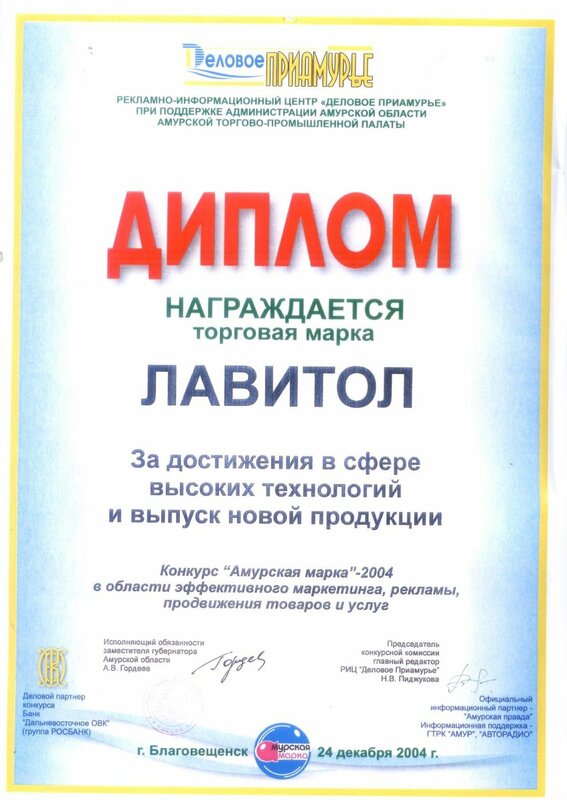 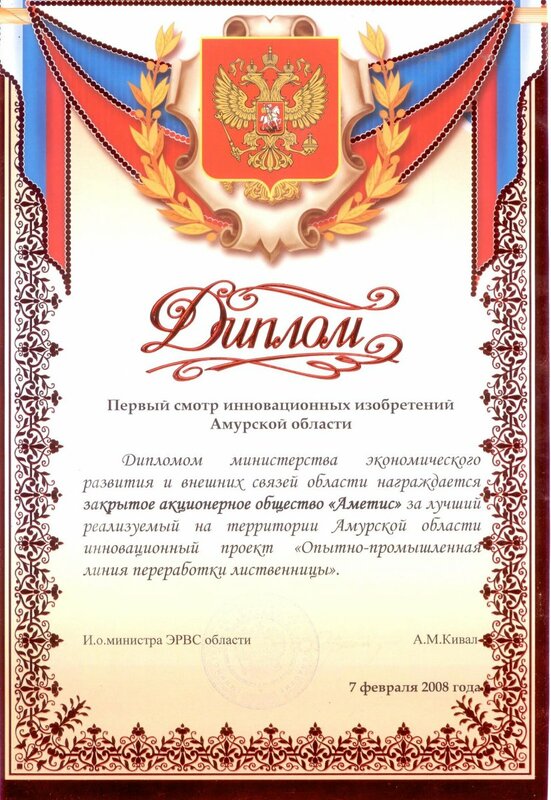 Ametis JSC was founded on June 25, 1998 in Blagoveshchensk, Amur region. 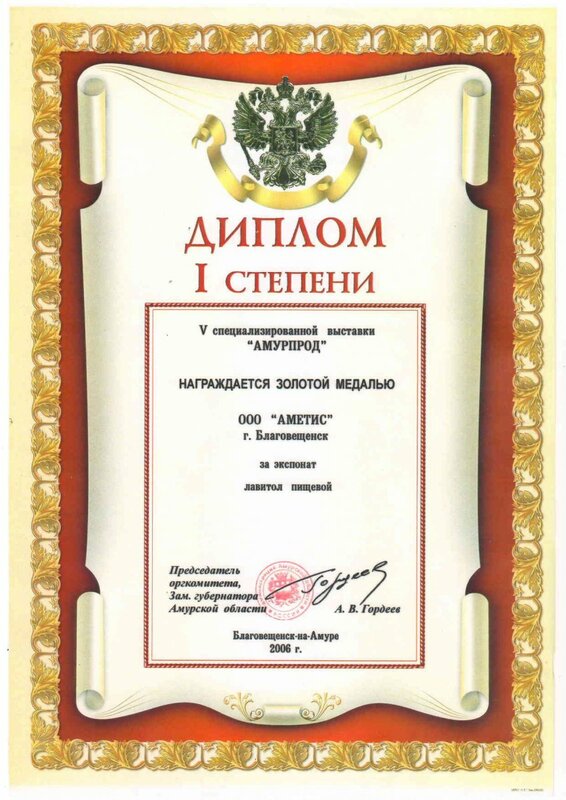 Despite the fact that Ametis JSC is relatively young company, but has already become the largest industrial complex in production of larch extracts and showed itself as a stable, with a reputation of quality and competitive prices. 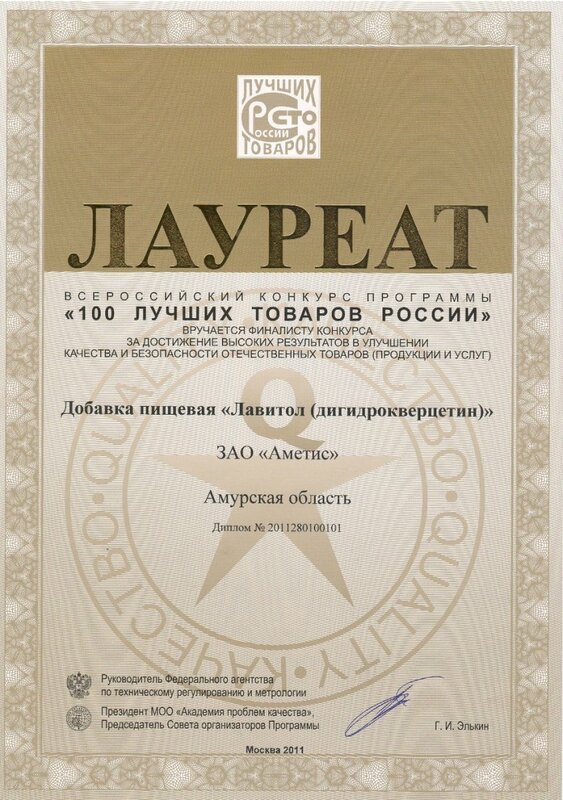 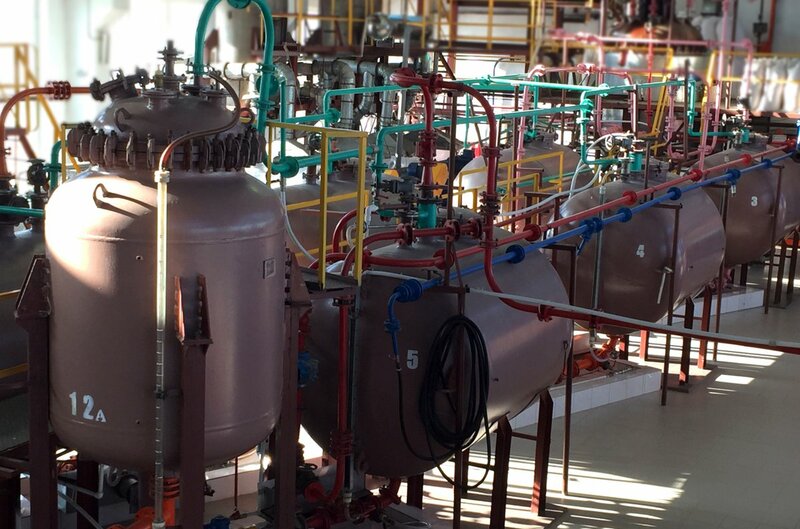 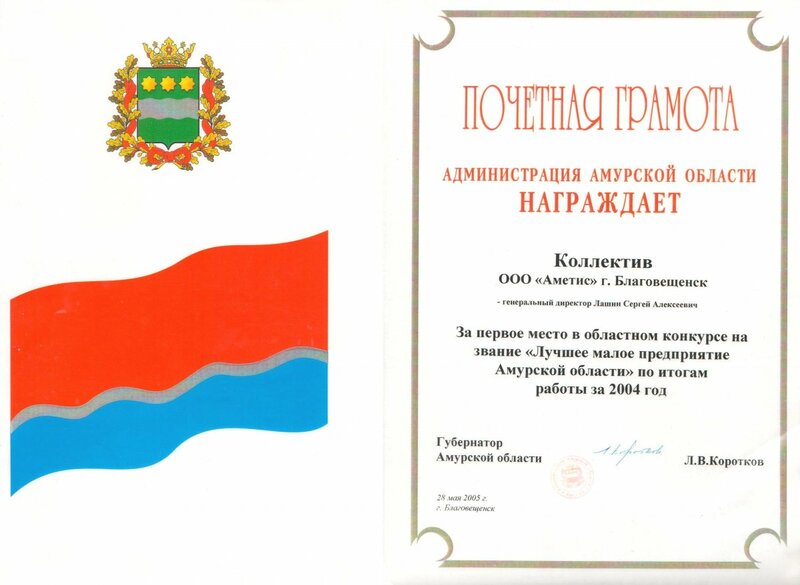 All activities of the company are submitted to one aim: to create the high-tech manufacturing enterprise by complex processing of Dahurian Larch wood for the purpose of unique natural substances extraction. 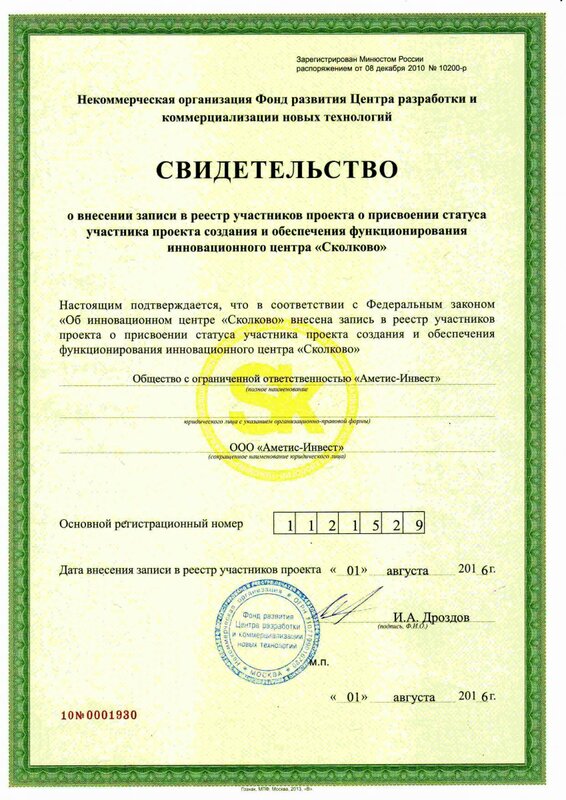 The company doesn’t rest on its laurels and develops successfully in the domestic and international markets, improving technology of production, introducing know-how to produce natural, highly effective, quality products. 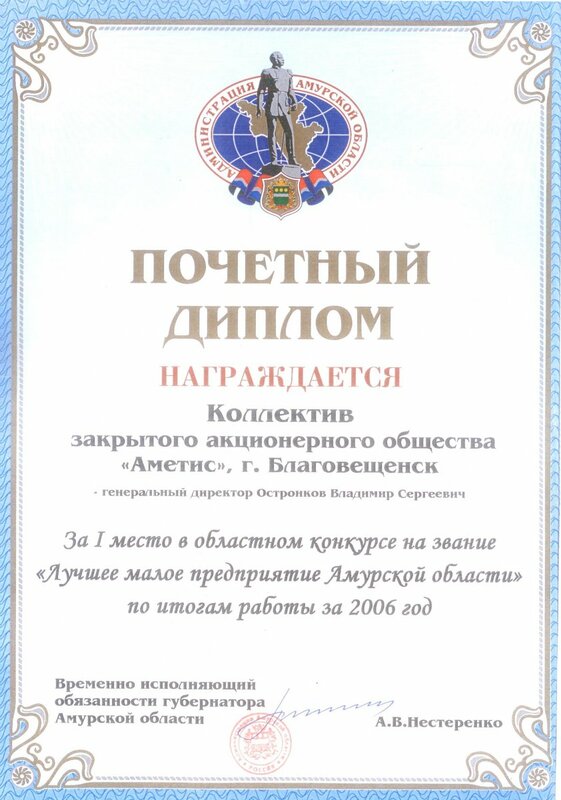 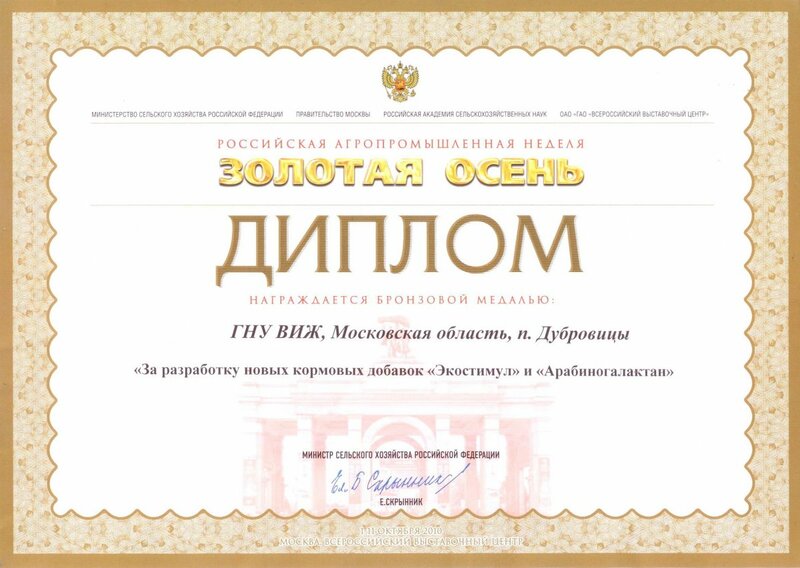 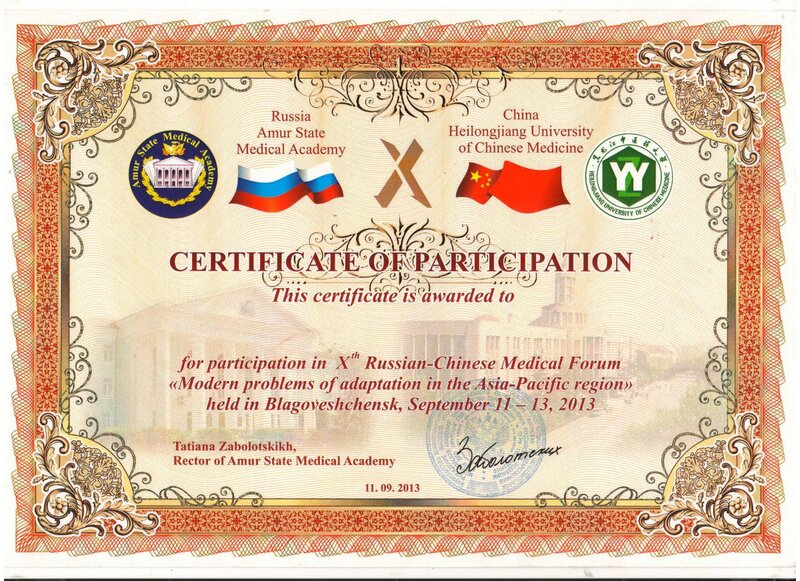 In this regard, Ametis JSC works closely with more than 20 leading scientific institution located in Russia, including Amur State Medical Academy, Far East State Agrarian University, Institutes of Tomsk, Novosibirsk and Moscow.